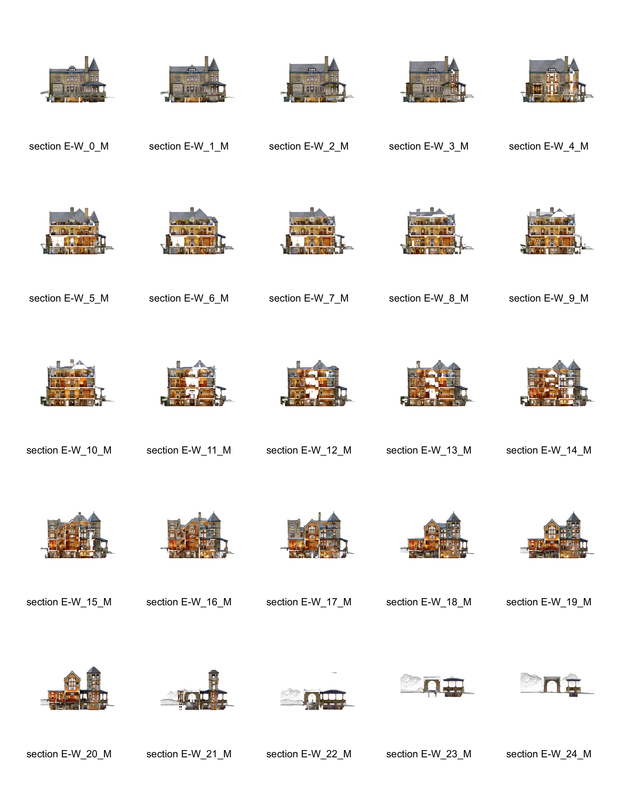 I’d argue that for preservation work, photogrammetry can often provide a richer sort of architectural documentation than laser scanning techniques. There are merits to both techniques and their products, of course – each has its strengths vis-a-vis the other. 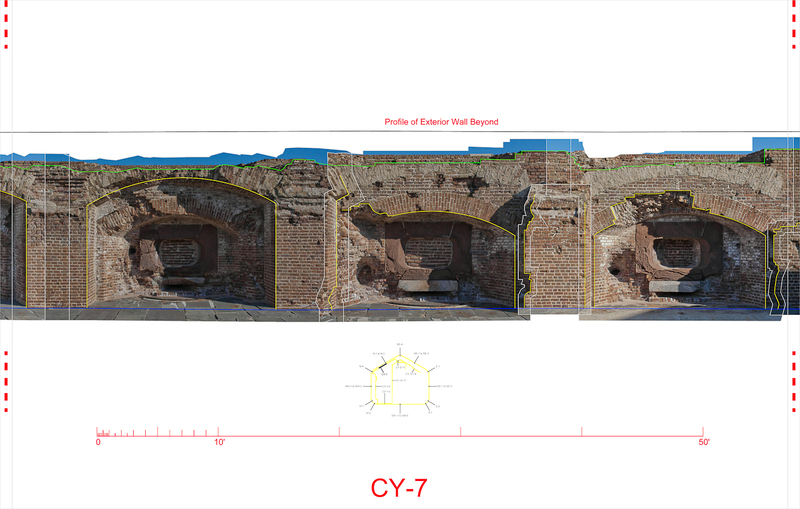 When comparing the products of photogrammetry and laser scanning, I find it interesting to see how they are converging and looking more and more alike as each respective technology continues to advance. 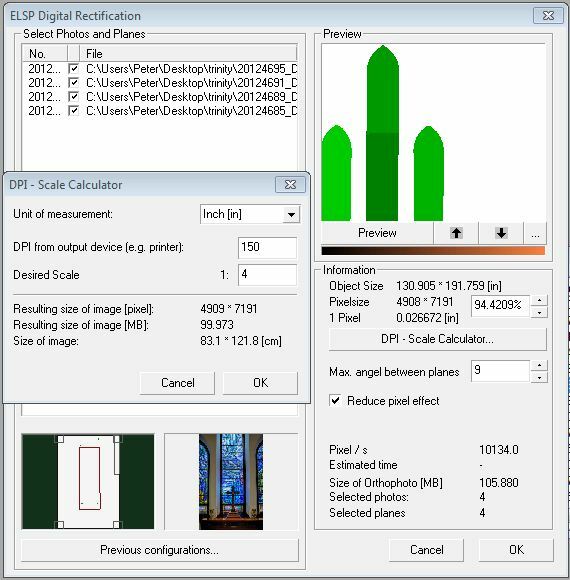 Simply put, photogrammetry is producing richer and richer point clouds (a strong point for laser scanning) while laser scanning is producing higher fidelity imagery than ever before (but still far from the photographic quality required for sensitive preservation work). 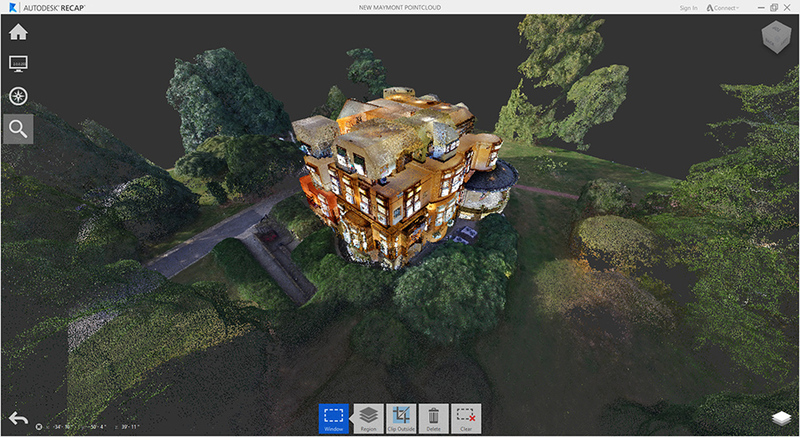 But in some cases, photogrammetry wins the argument as to which technique is more appropriate to the task because it can perform in conditions that render laser scanning impossible. This is even more true when one factors in what it costs to get a project from start to finish. 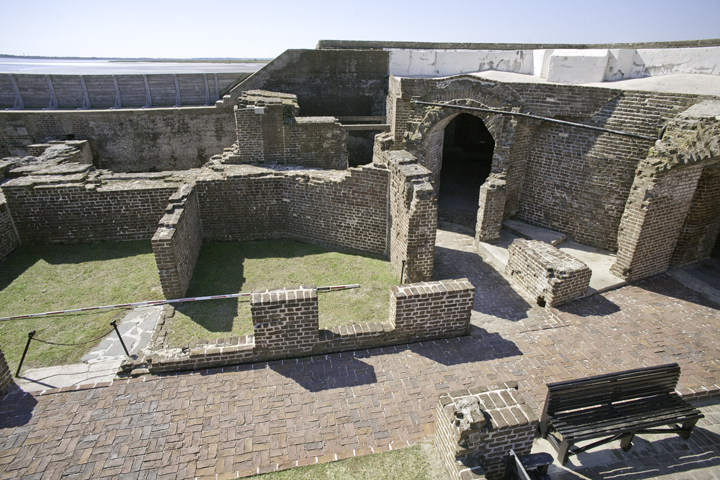 Take for example the work completed at Fort Sumter in Charleston Harbor by Aaslestad Preservation Consulting late last year. 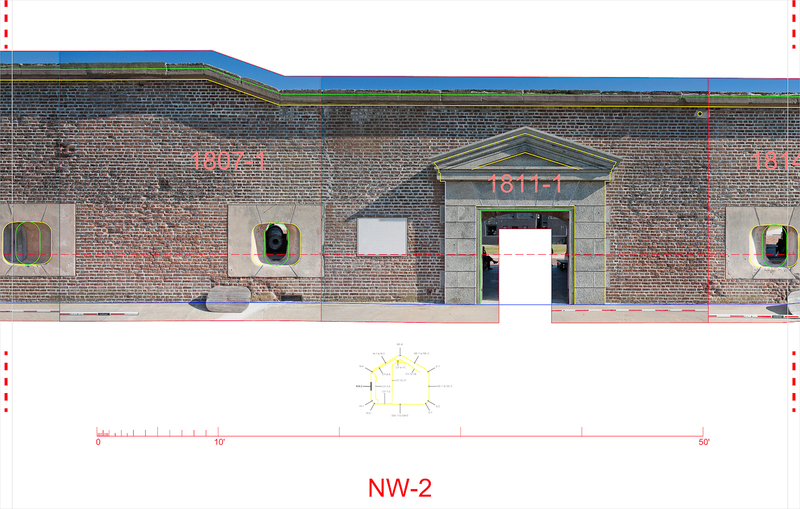 In order to precisely map the layout, composition and condition of the fort’s exterior masonry walls, Aaslestad shot photos from a pitching boat! Above is one of the shots used in the survey. 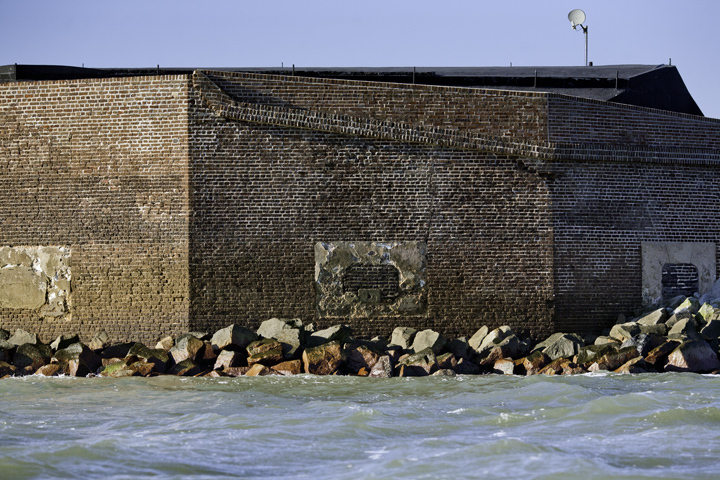 It was shot with a 200mm lens from a small craft that the Park Service provided Aaslestad to circumnavigate (as much as possible) the fort. Later that day during the peak of low tide, Aaslestad was able to scramble around the the perimeter of the fort to collect a series of 16mm shots as well, see below. So the versatility of using a handheld camera for ‘data capture’ can make some jobs possible through photogrammetry that would otherwise be either impossible or much more time intensive and expensive. 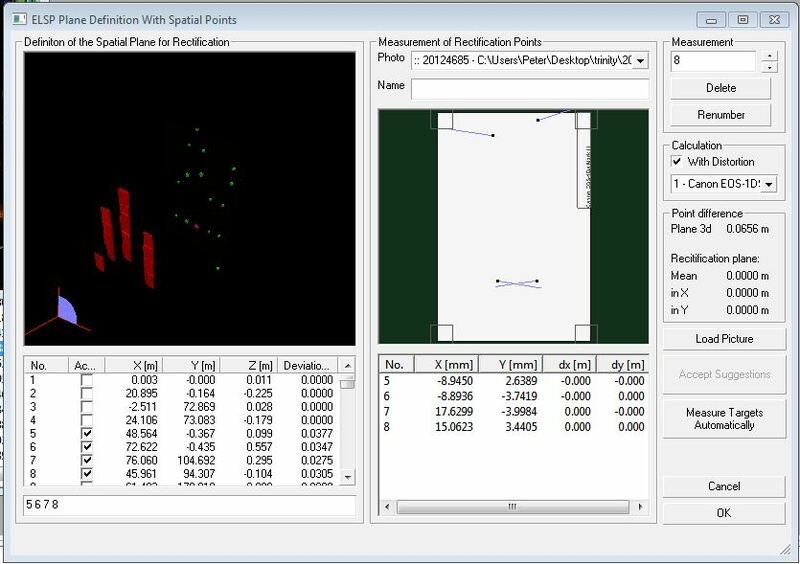 To be sure, a laser scanner is a fabulous piece of equipment that can produce incomparable results for some applications – but it needs a stable platform from which to operate (therefore can not be used from a pitching boat!). 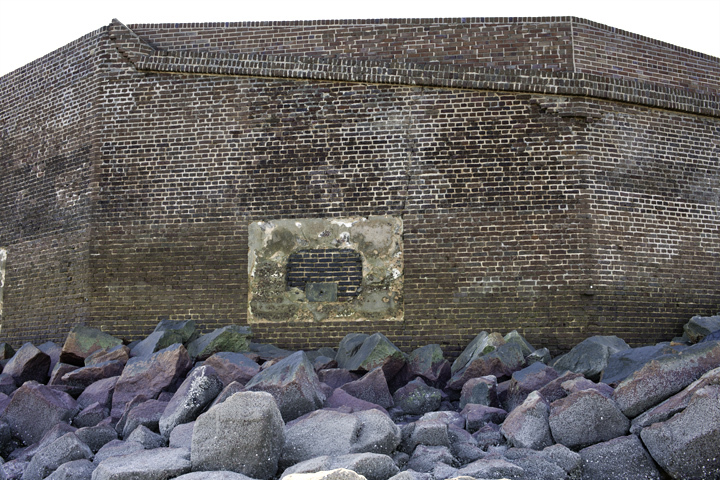 Repositioning a laser scanner around the perimeter of Fort Sumter (on these slippery rocks shown above) during the relatively small window of opportunity of extreme low tide would also be unfeasible, or at the very least impractical and time consuming/expensive. Another example of the versatility of using camera equipment for data capture with preservation in mind is the use of a telescopic tripod. The shot below was taken using a remote shutter release while the camera was suspended 25′ above grade on a a tripod. 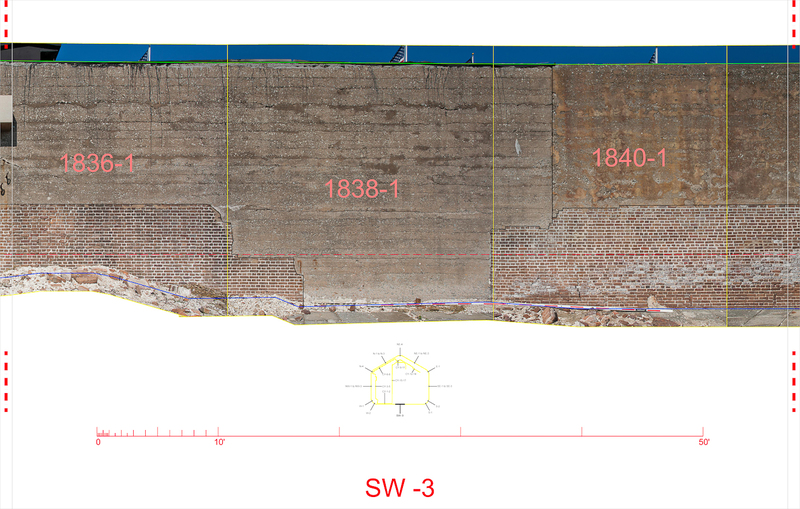 Gaining points of views such as this can sometimes make the difference between be able to document a surface or not – or at the very least of enhancing a survey through greater quality of coverage. Looking into the future we may see devices the size of an iPhone hovering around a structure like a miniature drone collecting 3-D scan data and high resolution digital imagery – maybe even sonography or thermography as well – but until then I’m very happy to rely on the versatility provided by a calibrated SLR. A pedestrian bridge that connects Staunton’s downtown to Sears Hill and Woodrow Wilson Park has been moved by the city as part of an effort to restore or repair this important piece of urban fabric. (more info and images of the bridge being moved can be found here.) These photographs (among others) serve to document the bridge and its access stair as they were prior to the bridge being moved. They will prove invaluable should the site be affected while the city raises money to replace the bridge. 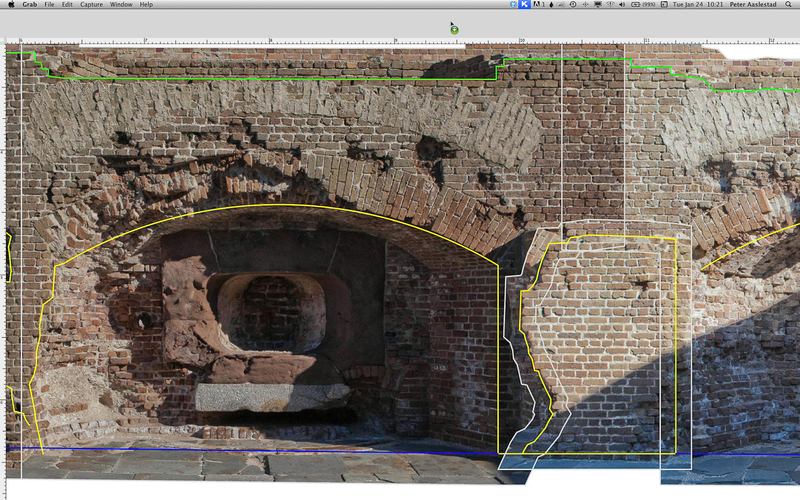 Below is a partial point cloud scan of the access stair. 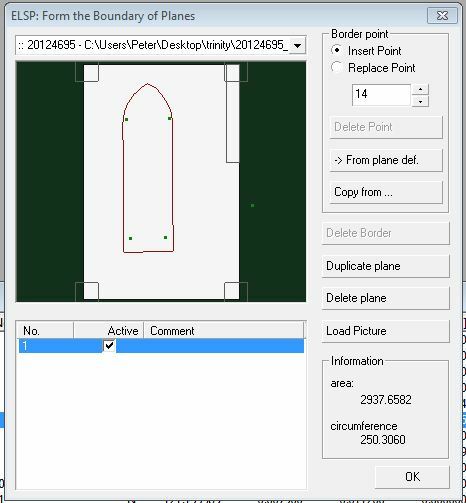 This particular view is looking down onto the bridge without any perspective distortion – in other words a plan view that can serve as the basis for measured drawings! 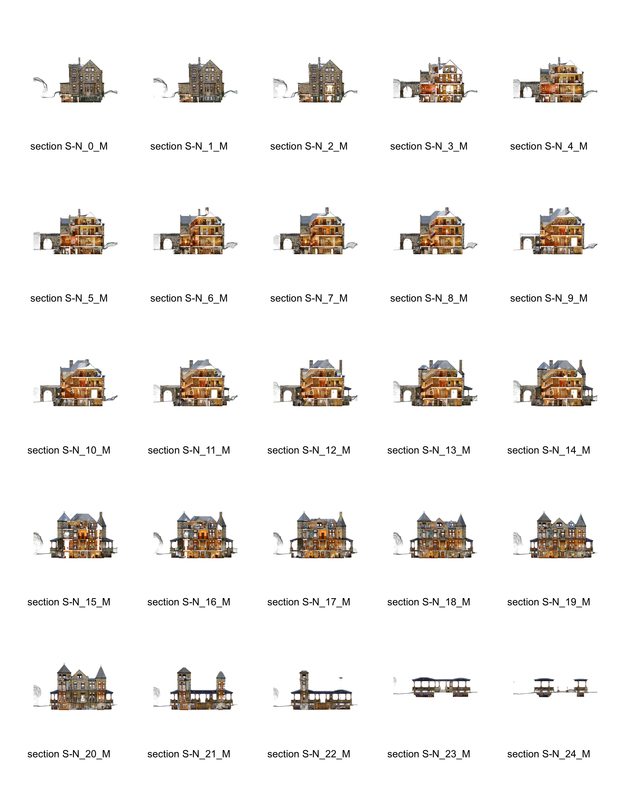 I’ve slightly adjusted my methodology for creating streetscapes thanks to a new clipping tool. The aim here is to to make the streetsacpes as clear as possible so as to be immediately useful upon delivery – while still being able to be produced quickly.